It’s a simple fact; if you are worried about how hard your rifle will slap you when you touch it off, it will distract you as you aim. Match shooters have known this for centuries. Ask a competitive target shooter and they will say the less their rifle kicks, the better their scores. Recoil wears a shooter down. The constant slam, slam, slam from a gun makes even veteran shooters tired after a day-long target match. Heavy recoil is not fun. It’s also not healthy. Prolonged exposure damages important nerves in the hand, arm, and shoulder. Recent studies released by the U.S. Defense Department found recoil and muzzle blast may also lead to, or exacerbate, traumatic brain injuries. It’s in our best interests to reduce recoil as much as practical. While recoil reduction is good idea, hunters run into a dilemma which does not affect target shooters. A hunter’s primary objective is to kill an animal—quick and clean. This requires power—kinetic energy—applied to the animal’s body sufficient to cause massive, immediate trauma to its vital organs. Kinetic energy is potential energy set in motion. In a rifle’s case, the potential energy is stored in the cartridge. The more power (energy) required out the muzzle, the more powder and bullet mass required in the round, which generates more recoil. Recoil boils down to Newton’s first and third laws of motion. 1. An object in motion tends to stay in motion until acted upon by another force. When a cartridge is fired inside a gun, the powder burns and creates hot gas. This gas expands and creates pressure. The pressure escapes at which ever point has the least resistance. In this instance, it is the bullet. The brass case’s neck cannot hold the bullet in against the pressure. The bullet is forced through the barrel and out the muzzle at high speed. The bullet’s motion down the barrel creates an equal and opposite reaction as the powder gases also press against the rifle’s bolt face via the case head. This opposite reaction pushes the bolt back which in turn pushes on the locking lugs, receiver, rifle stock, and then the shooter’s shoulder. The reason the gun doesn’t fly back against the shooter as fast as the bullet leaves the barrel is because the rifle has much more mass (it weighs more) than the bullet. This mass acts as the other force. It slows and absorbs the rifle’s backward acceleration. The energy which is not consumed by the rifle’s mass is transferred into the shooter. This left over energy is called free recoil and is measured in foot-pounds (free), or ft-lbsf. One foot-pound is the force needed to move a one pound object for one foot. Aside from its effects on accuracy, recoil causes many hunters other problems. Older hunters who have arthritis in their shoulders, back, or necks find the heavy recoil from big game cartridges painful, as does anyone who has had surgery in those areas. Others hunters may not have shot anything more potent than the .223 Remington in recoil absorbing, gas operated semi-auto rifles, and they have an almost allergic reaction to anything which kicks harder. Is there a way hunters can have enough power to drop medium and large game without a big thump on the shoulder? Yes. Many fine rounds exist which hit animals hard but treat the shooter with kindness. I tested ten cartridges with ballistic software to see which is best. Each has a reputation for low recoil and effective terminal performance on game. Here are the contestants: .243 Winchester, 6 Creedmoor, .240 Weatherby Magnum, .25-06 Remington, 6.5 Creedmoor, 6.5x55mm Swedish, 6.5-284 Norma, 7mm-08 Remington, and .30-30 Winchester. 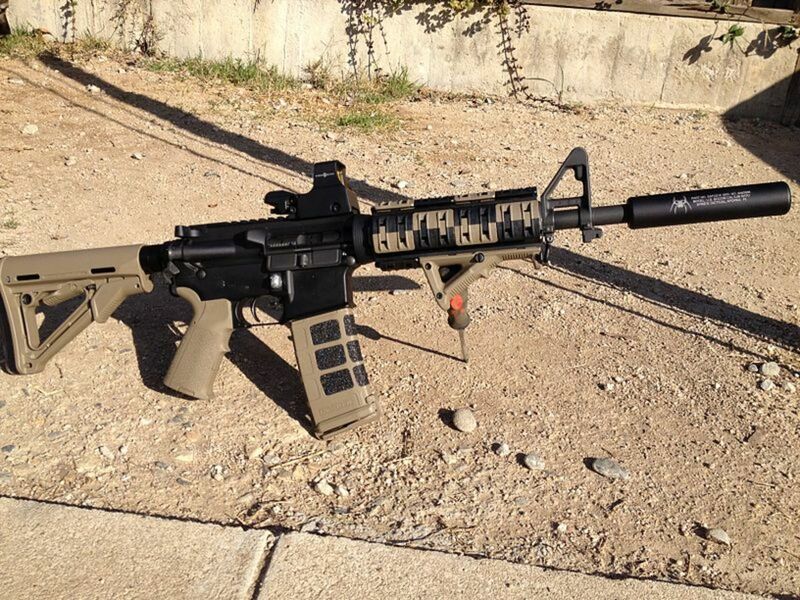 All generate 15 ft-lbsf, or less, recoil. As a general rule, more than 15 ft-lbsf recoil is considered enough to affect most shooters’ accuracy. This test measured each cartridge’s trajectory, effective range, and recoil. All calculations were based, unless otherwise noted, on the Nosler AccuBond™ bullet in the weight which generated the least recoil with the most power. The AccuBond is a good all-round hunting bullet with high ballistic coefficients (BCs) and terminal performance similar to the time tested Nosler Partition™. Both BC and sectional density (SD) are noted for each bullet tested. BC quantifies a bullet’s aerodynamic efficiency, and SD predicts relative ability to penetrate into a game animal. The larger each number, the better. Most experts agree BCs around .450, or higher, make bullets fly flatter and drift less in cross-winds. SDs greater than .230 are preferred for big game bullets. Note: Hand loaders can achieve much better performance in many instances. Trajectory in this test is defined as Maximum Point Blank Range (MPBR), uncorrected for accuracy (MOA). MPBR is the distance over which a bullet rises three inches above sight line and then drops three inches below to hit within a six-inch kill box. Imagine a bullet arcing through a six-inch diameter pipe for a certain distance. 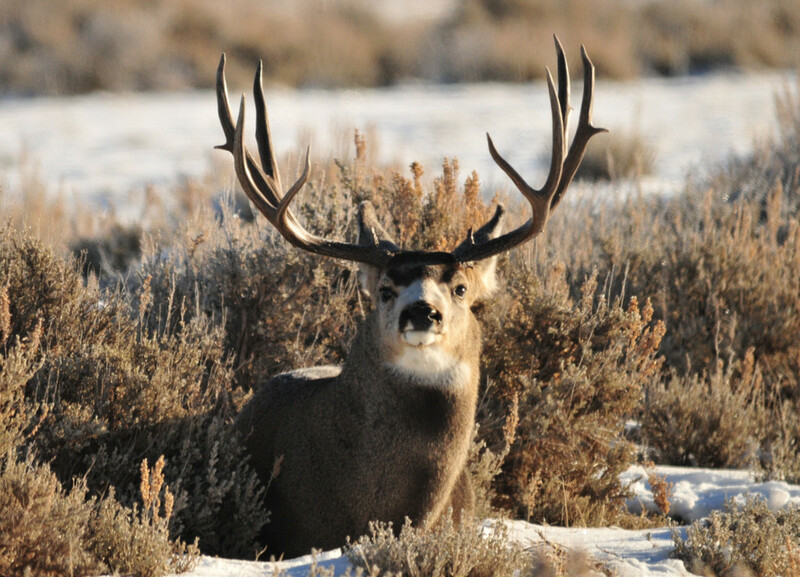 Effective range in this test is the minimum impact energy recommended for a humane kill on medium game, such as deer and antelope (1200 ft-lbs. ), large game, such as elk and moose (1500 ft-lbs), and the minimum velocity most hunting bullets require for reliable expansion (1800 fps). If the minimum energy range exceeds the minimum expansion range, the minimum expansion range becomes the maximum effective range since unexpanded bullets are much less effective regardless how much energy they possess. This test’s recoil calculations were based on an 8.0 pound bolt-action rifle. The .30-30 is based on a 7.0 pound lever-action carbine. The less recoil, the more accurate the shooter, and hence, the more effective the cartridge. One point for every 25 yards beyond 200 yards for maximum effective range on medium and large game, respectively, and one point deducted for every 25 yards less than 200 yards. One point for every 25 yards beyond 200 yards for minimum expansion velocity, one point deducted for every 25 yards less. If the minimum expansion range exceeds the farthest minimum energy range, points for expansion are set equal to the farthest energy range. 140 gr. AccuBond (.509 BC/.287 SD) at 2850 fps. Like the 6.5 Creedmoor, this cartridge began as a precision target cartridge. Hunters soon discovered it and its popularity has grown since. It has one distinct advantage: its case is longer than either the 6.5 Creedmoor or .260 Remington so it can use the heaviest 6.5mm bullets. 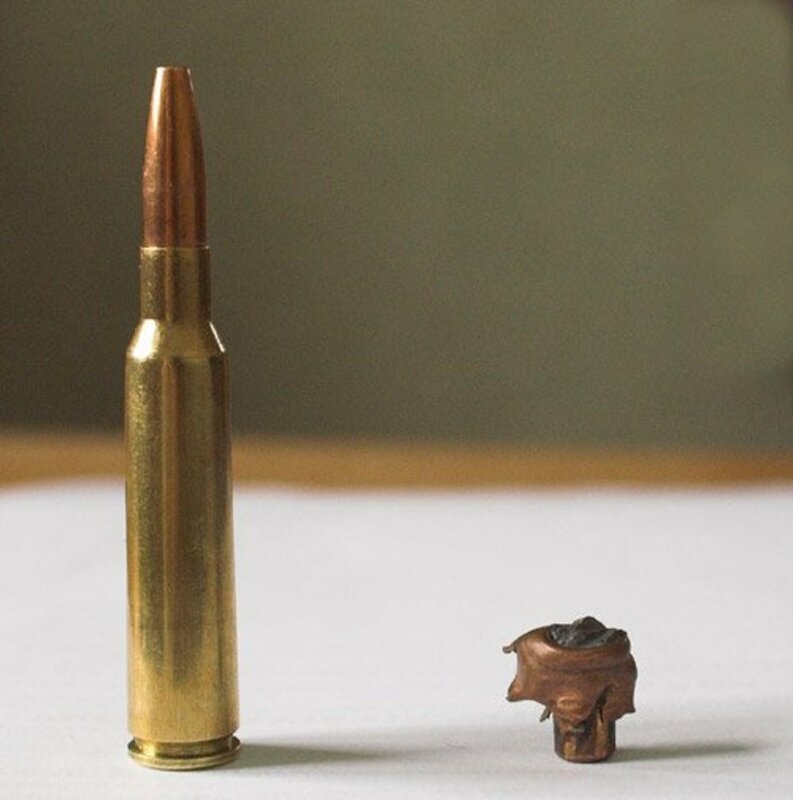 Loaded with a 156 or 160 grain slug, it becomes a reasonable round for the largest, non-dangerous game, except bison, even at extended ranges. 6.5-284 Norma shows why it won this test. 140 gr. AccuBond (.485 BC/.248 SD) at 2800 fps. 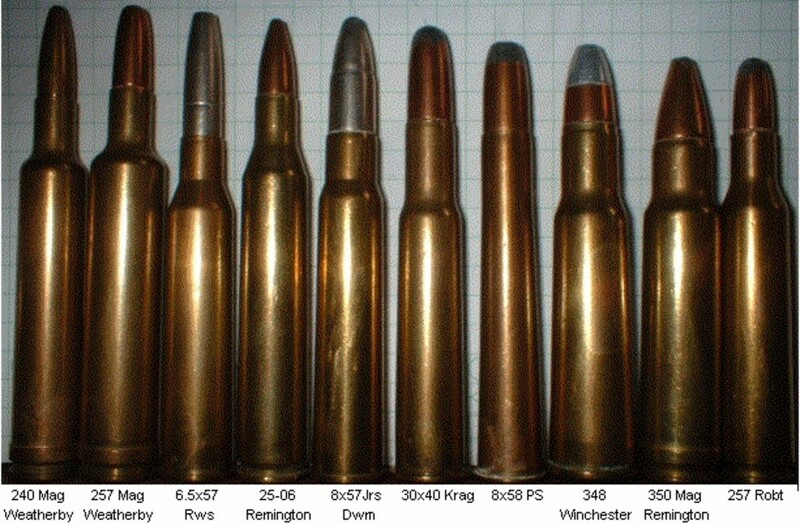 The 7mm-08 is based on the venerable .308 Winchester’s case. It is efficient, has moderate recoil, and uses less powder than its big brother, the .280 Remington. It makes a great choice for a short-action, super light-weight mountain rifle since it shoots flat enough and hits hard enough to knock down a bighorn sheep or an ibex across a valley. It does have one drawback common to all short-action cartridges. It can’t provide the best velocities with the heaviest bullets in its caliber, and heavy for caliber bullets are what make a 7mm so effective. 100 gr. Nolser Partition (.384 BC/.242 SD) at 3400 fps. The .240 Weatherby punches far above its weight class. 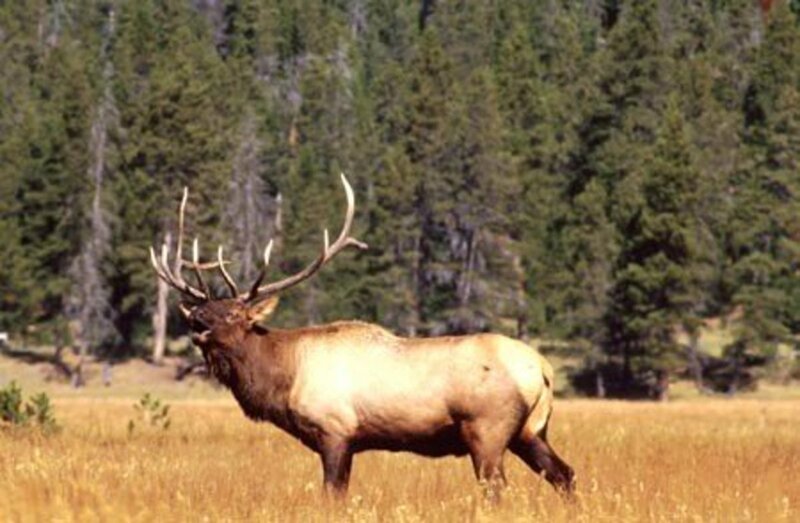 It is the only .24 caliber cartridge which is an ethical choice for large animals such as elk or red stag. It has one severe limitation: ammunition is only available from Weatherby. If you fall in love with this diminutive hammer, plan to load your own. 110 gr. AccuBond (.418 BC/.238 SD) at 3100 fps. The .25-06 is the flattest shooting, hardest hitting, lowest recoiling cartridge available. It’s a shame the .25-06 is in decline at the moment. More hunters should get to know this fantastic round. 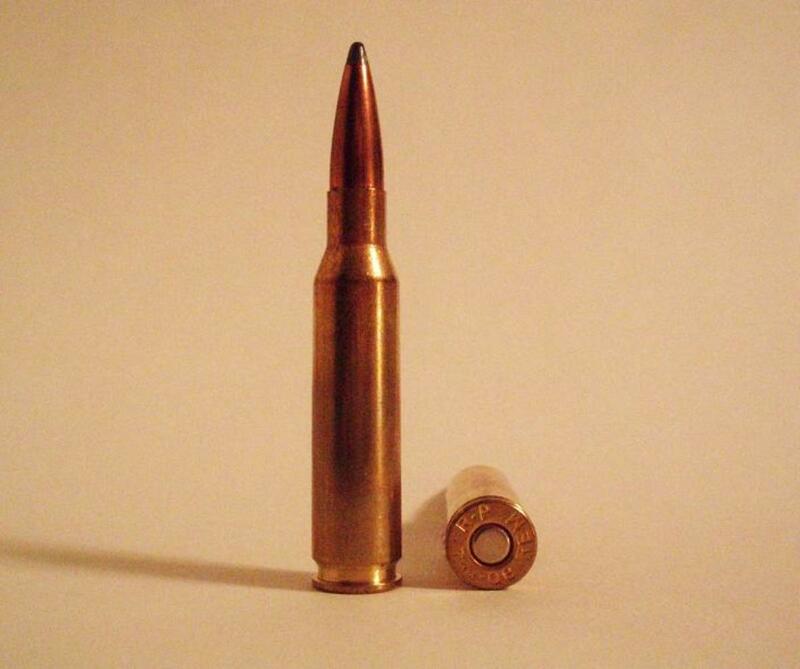 Its biggest disadvantage, in some people’s opinion, is .25 caliber bullets have low BCs. This diminishes its appeal to the long range hunting cult. Once you’ve seen a few deer hit with this little beast, however, you’ll understand there is more to cartridges than raw numbers. Medium-sized game animals just fall over dead, as a rule. The .25-06 Rem. and pronghorn, made for each other. 140 grain AccuBond (.509 BC/.287 SD) at 2750 fps. Introduced in 1997, the .260 Remington duplicates, or exceeds, the time-tested 6.5x55mm Swedish in a short action cartridge. Like the 7mm-08, it is commonly loaded with 140 grain bullets, so the old Swede still has an advantage against large game inside 150 yards with its typical 156 or 160 grain projectiles. The .260 doesn’t generate mega-velocities like the 6.5mm magnums, which has led to reduced popularity in the U. S.
140 gr. AccuBond (.509 BC/.287 SD) at 2700 fps. The 6.5 Creedmoor is for real. It has a better case design than its nearest rival, the .260 Remington. Since it originated as a competition cartridge, it is more accurate than most hunters will ever need. Hand loaders may experience blown primers if they get too close to maximum allowable pressure, which limits its development potential. 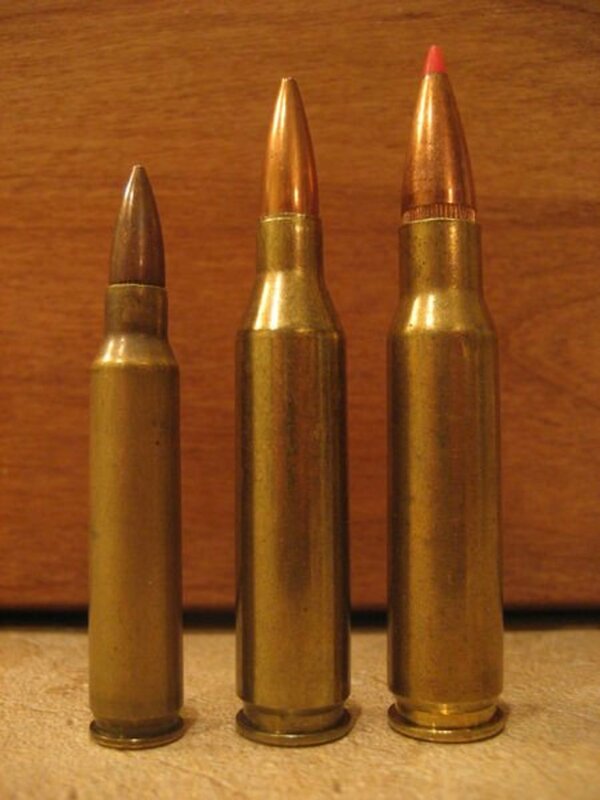 Like the .260 Remington, its case isn’t large enough to accommodate bullets much heavier than 140 grains. 100 gr. Partition (.384 BC/.242 SD) at 3050 fps. 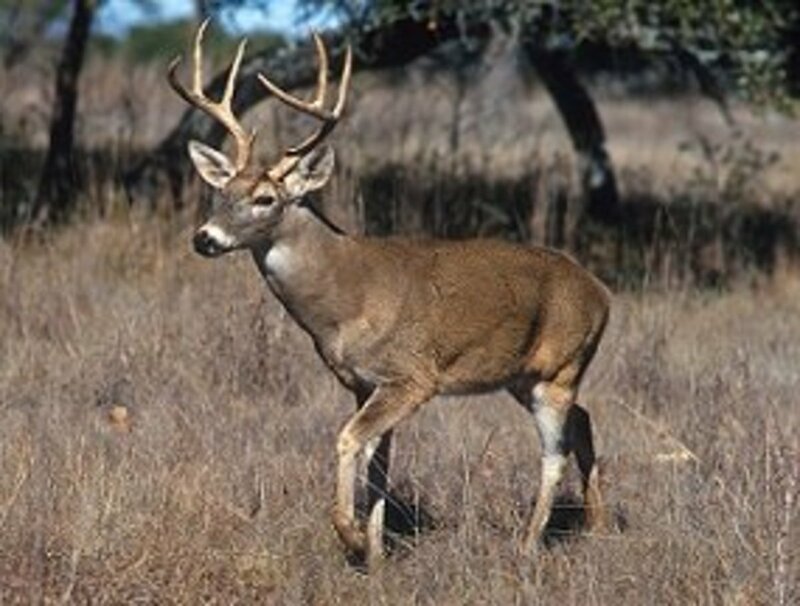 Both the .243 and 6 CM can use the heaviest 6mm bullets, but the Creedmoor drives those 100 fps faster, which makes it a viable 300 yard deer and antelope round with negligible recoil. Its 294 yard MPBR means hunters don’t have to compensate for bullet drop out to the round’s maximum medium game range. Just point and shoot. However, hunters must face the fact 6mm bullets at this velocity are not the best choice for large, tough animals such as elk, and they don’t do well in strong cross winds, either. 100 gr. Partition (.384 BC/.242 SD) at 2960 fps. Anyone who thinks the .243 Winchester will die will have to wait a long time. The rifles chambered for it number in the millions, and ammunition is plentiful and cheap. Many a novice hunter has taken their first deer with the mild, accurate .243. It’s also used by experienced hunters who appreciate this dual purpose cartridge’s virtues. 140 gr AccuBond (.509 BC/.287 SD) at 2600 fps. Introduced in 1891 for the Swedish military, the 6.5x55 proved just how effective small caliber, high ballistic coefficient bullets are. It caught on with Scandinavian hunters and has taken every game species on the planet including moose, polar bear, and even elephant. Its mild recoil belies its deadliness. The fact it is also accurate is a bonus. 170 gr. Partition (.252 BC/.256 SD) at 2200 fps. Despite last place, the .30-30 is still a fantastic hunting cartridge. It has taken more deer for more years than perhaps any other. The .30-30 may have come up short against these newer, faster cartridges, but it doesn’t matter to the all the hunters who have used this classic over the years. The .30-30 in a lightning-fast, lever-action carbine is still the best combination for deer in thick brush. You’ll also find ammunition on every gun shelf around the world. It’s difficult to pick just one cartridge from this excellent field. For me, it boils down to where and what I would hunt with them. For just deer from a tree stand or in heavy cover, I’d take the .30-30. Deer, pronghorn, and varmints in open country, the .25-06. If elk, moose, or black bear were on the menu, too, the 7mm-08 or the 6.5x55, but I’d cheat a bit and load bullets heavier than 140 grains. Light-weight mountain rifle—.260 or 6.5-284. 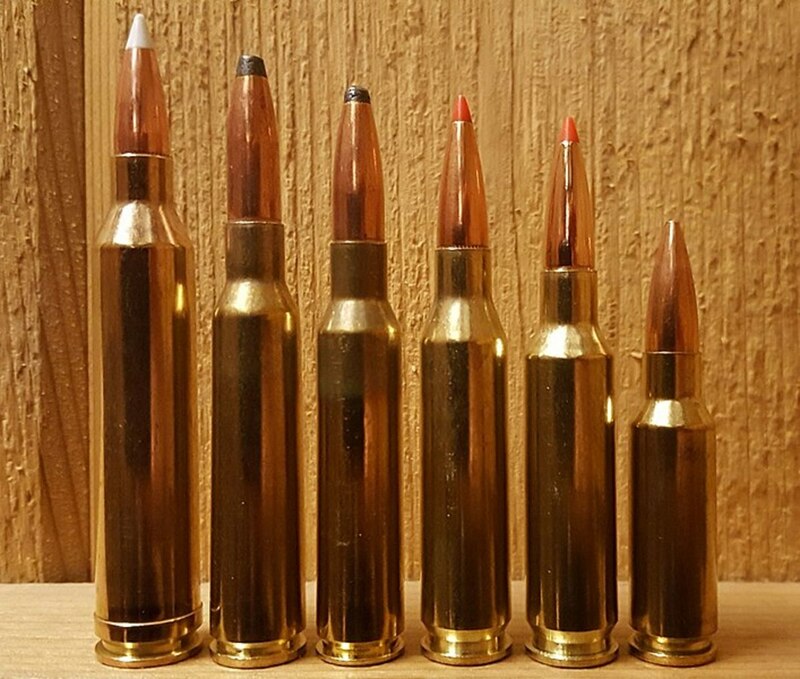 If I needed an all-rounder and just couldn’t abide the 7mm-08’s recoil, I’d take the 6.5x55 without hesitation because ammo is more available world-wide than with the 6.5-284. How expensive and available is .25-06 ammo? Availability is good, about on par with .243 Winchester or .30-30 and about as expensive. You can go to ammo selling web sites for latest pricing. What's the recoil on a 270 Win? It depends on the rifle's weight, the bullet's weight, and the powder charge weight. On average, a .270 will have about 2 - 3 pounds less free recoil (ft-lbsf) than a .30-06 for a given rifle weight, or around 17 - 23 ft-lbsf total. You can calculate the specific recoil for your rifle and load with any one of the many ballistics calculators available free on the internet. Would the .25-06 Remington make a good one gun compromise for hunting out West and in Michigan for a guy who has had shoulder surgery? Yes. It would be an exceptional choice. It is, however, a bit light for elk, moose, or the bigger bears. On anything up to and including mule deer, big horn sheep, etc., it will do quite well. Use the heaviest bullets, too. How much recoil does a 30-06 generate with a 150 grain bullet? This one of those questions which fits the standard engineering response, "Well, it depends." The variables for free recoil calculations are bullet weight in grains, powder charge weight in grains, gun weight in pounds, and velocity. 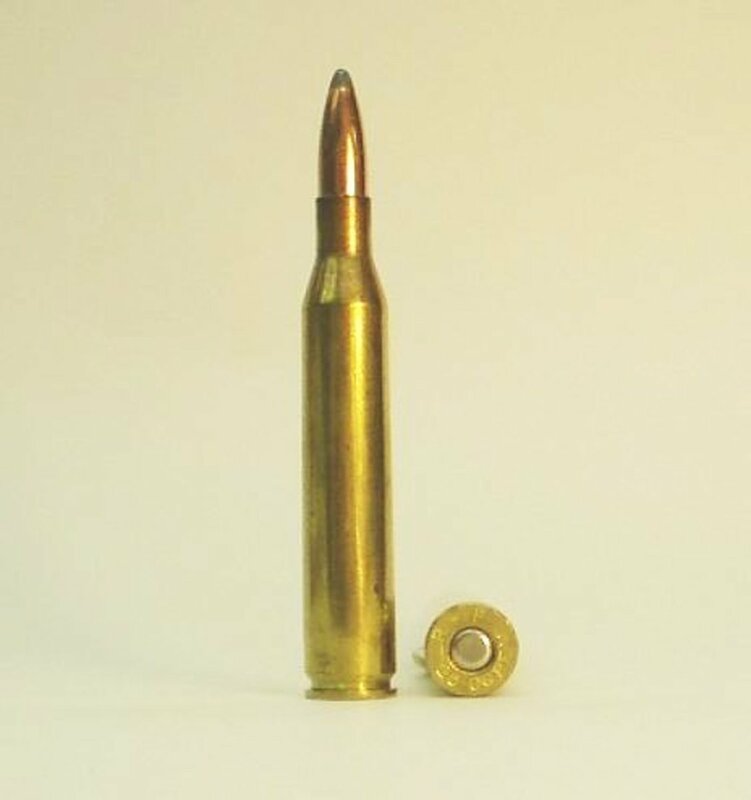 A .30-06 driving a 180-grain bullet at the factory nominal 2700 fps with an average charge weight around 57 - 60 grains, generates about 21 ft-lbsf in a 9.0-pound rifle. A drop in bullet mass to 150 grains will increase the velocity due to increased available powder volume. In the same weight rifle, you might shave a pound or two free recoil energy off the 180's figures. Unless you drop the powder charge way back, and hence the velocity, just a small reduction in bullet mass will not have a major effect. Rifle weight plays the biggest role here. 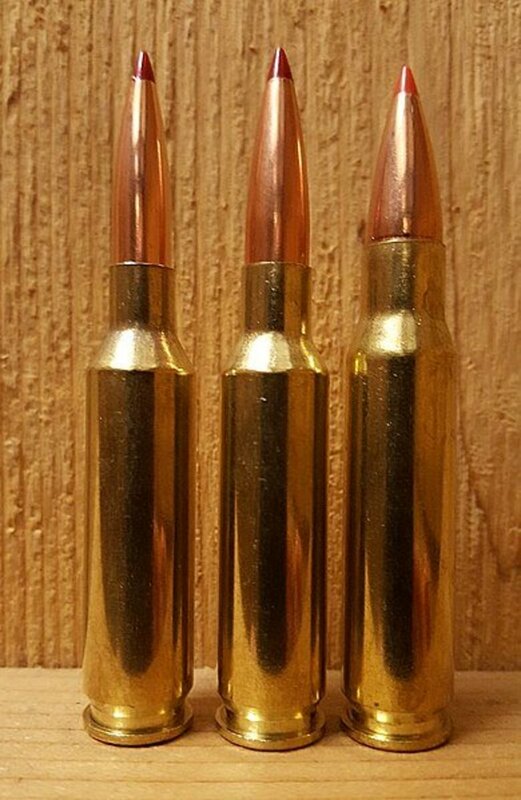 Put the same 180 gran load in a 10-pound rifle, and you'd scale the recoil back into the 17 - 18 ft-lbsf range, which is similar to a 130 grain .270 Winchester load in an 8.0-pound gun. Does the .243 Winchester recoil more than the .30-30 Winchester? Those rounds are both noted as kind to shooters' shoulders. 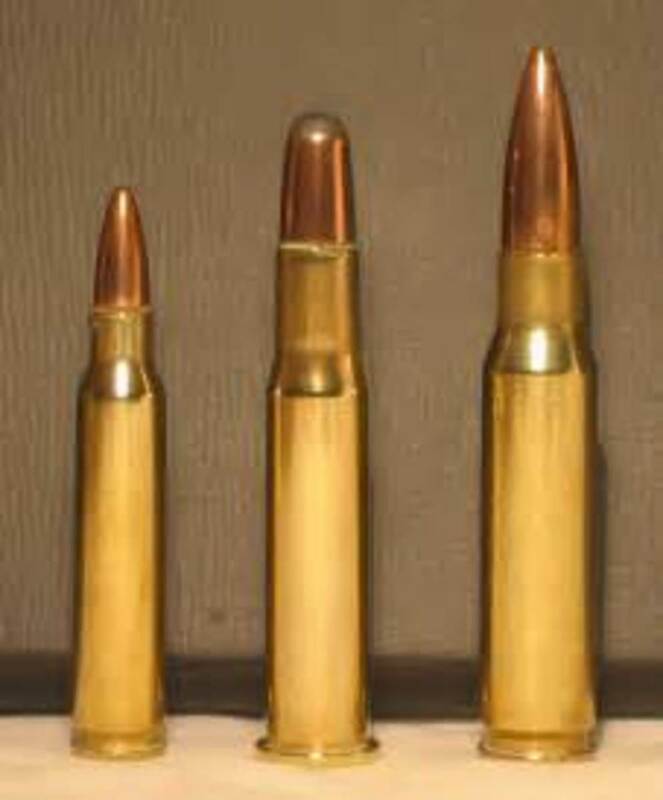 The .30-30 fires a heavier bullet than the .243, but at a lower velocity and with a smaller powder volume, so they both produce similar recoil numbers if rifle weight is constant. For example, a .243 in an 8.0-pound rifle with a 100-grain bullet at 2960 fps. 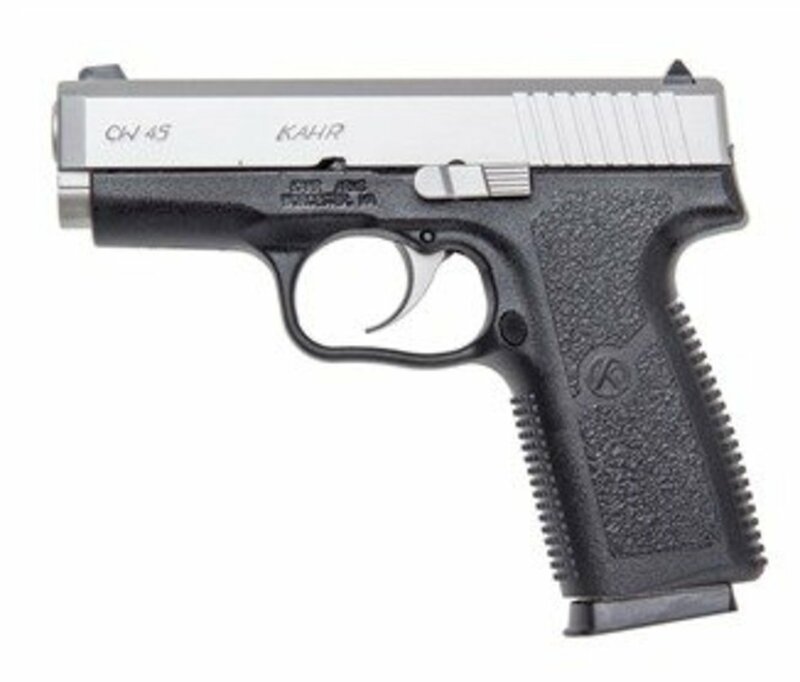 It hits you with around 10 ft-lbsf of recoil. The .30-30 with the same rifle weight, and a 170 grain bullet driven at 2200 fps, will nudge you with a smidgen over 11 ft-lbsf. How does the recoil from a .308 Winchester loaded with a 150 - 165 grain bullet compare to a 7mm-08 Remington with a 140 - 150 grain bullet? Do you think a shooter would be able to notice any difference at all? Re: Larry vanderaplaats' question. I've known several hunters who have taken elk with the .25-06. Use the heaviest bullet you can get, the Nosler AccuBond you mentioned is a good choice. The .25-06 is not an ideal elk round, though, so bullet placement is paramount as is keeping the range reasonable--say, inside 200 yards. If I chose the 25-06 for my one gun option due to shoulder problems,could I legitimately take it on an elk hunt using a 120 grain Noslar accubond ifI limited the range?